Dr. Akbar Ebrahimian always appreciates feedback from his valued patients. To date, we’re thrilled to have collected 23 reviews with an average rating of 4.96 out of 5 stars. Please read what others are saying about Dr. Akbar Ebrahimian below, and as always, we would love to collect your feedback. Very friendly environment and excellent service provided. The dentist explained everything very clearly and has a very soft hand. 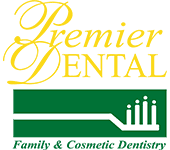 We have been with Dr. E and Premier Dental for over 10 years now. They are very thorough with their work, follow-up and getting us in and out on time. Dr. E is a wonderful doctor, wouldn't go any where else. Great staff. Great doctor. Thanks for everything! !